Cities are systems of systems, involving land use, transportation and water, as well as economic, eductional and cultural factors. How can cities advance? What does the future look like? 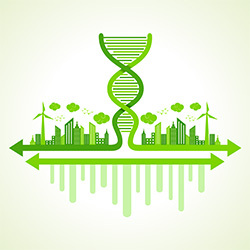 Inspired by the Human Genome Project, which successfully sequenced and mapped the complete human genetic blueprint to help solve thousands of diseases, the Urban Genome Project (UGP) is a multidisciplinary research team effort to develop a science of cities: What's the DNA of a city? What makes a city tick? Why does it evolve the way it does? How is it like other cities and yet unique? Each city itself is made up of a series of experiments: its history, its culture, its design, and more. How can cities learn from these experitments and their results?